The V-One ships with everything you need to get started, but as you use the V-One you'll want to pick up some of the following items. 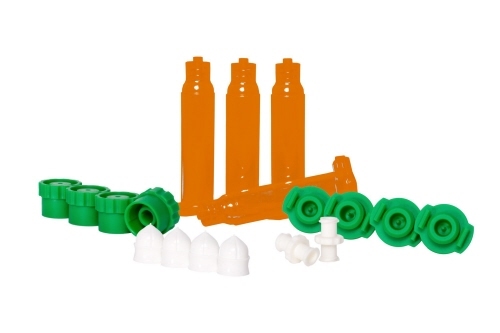 Looking to dispense materials with a lower viscosity? These are the nozzles for you. 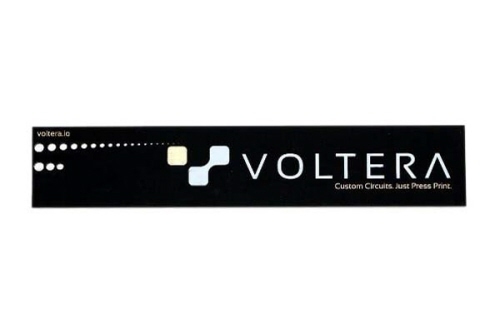 Don't use this with our standard ink or solder paste... that will result in poor performance. If you want to push the resolution limits of the V-One, these dispensing tips will help enable your experimental projects. This pack contains 4 extra fine nozzles with an internal diameter of 0.150 mm (6 mil). 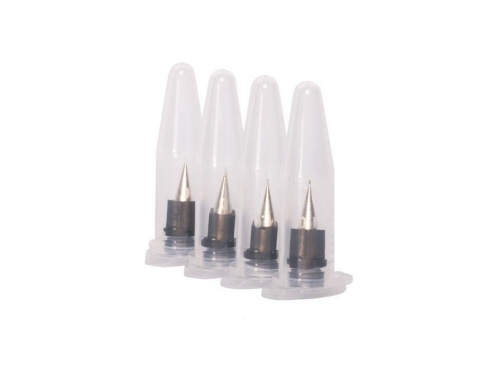 Keep printing with a pack of 4 nozzles (225 micron inner diameter). 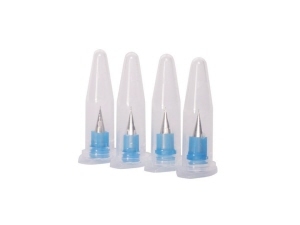 These dispensing tips come standard with the V-One and are required for accurate deposition of ink and solder paste. 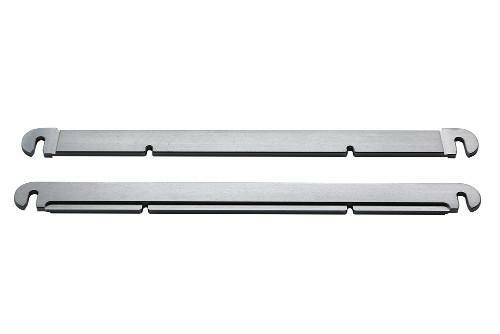 After your circuit is printed and cured, the silver traces need a quick burnishing step to remove organic matter. 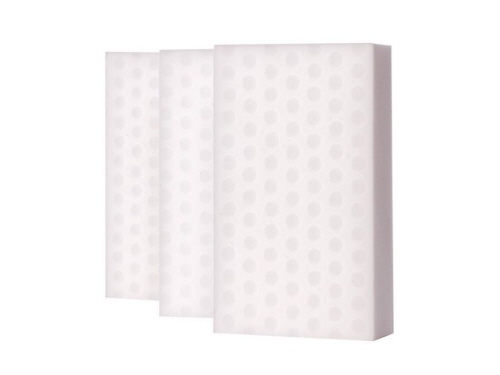 The burnishing pad contains micro­pores that can remove even the smallest contaminants. Just give the board a scrub and watch the traces turn silver. 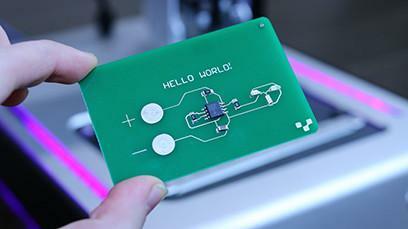 The Hello World circuit is the first circuit you print with your V-One. Have more than one person using your V-One? 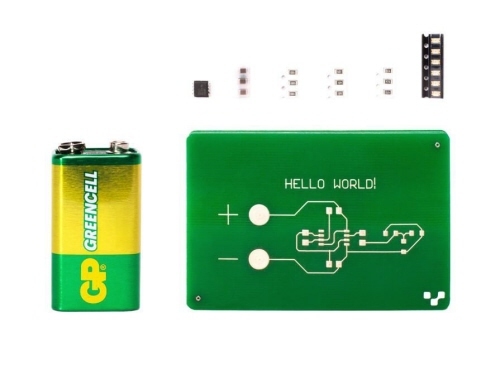 Then you might want more Hello World kits! 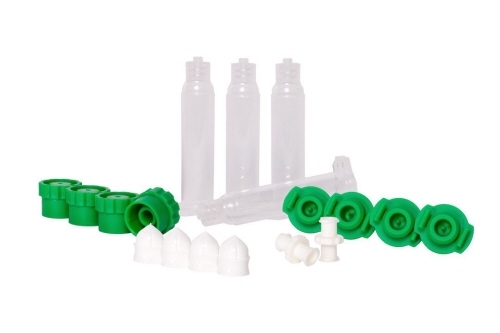 Get creative and dispense your own fluids with this pack of cartridges. Need to dispense your own UV sensitive fluids (up to 550nm)? Pack of 4 thumbscrews attach board clamps to the V­-One printing platform and ensure your board is securely mounted. 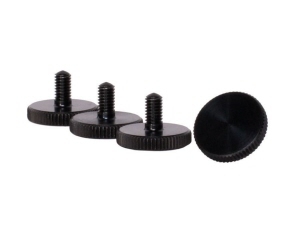 Be sure to get them here should you need replacements. 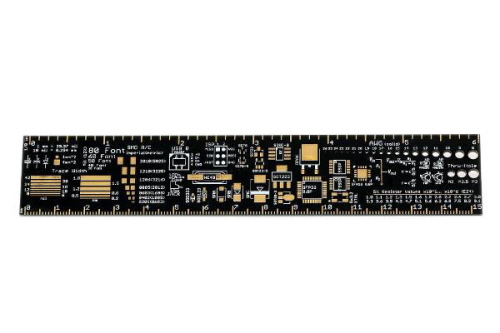 A handy reference for any PCB designer that reminds you of all those standard package and trace sizes. We know there are too many to remember! 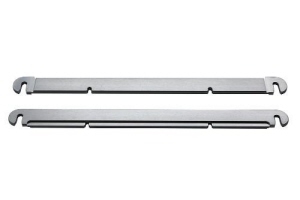 V­-One custom board clamps are required to mount your board onto the printing platform. 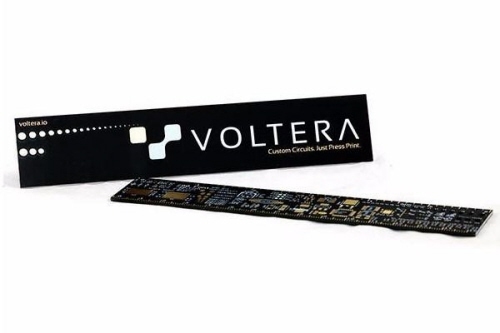 Both Voltera provided printing substrates and pre­fabricated circuit boards can be mounted using our board clamps.